Hey America…Are You Tired Of Killing Each Other Yet? And today’s mass shooting is….New York AND Chicago. Two more (in one day) to add to the list! So now you’re up to FOUR mass public shootings since July 20, America. Yeehah! Yes I know…this is a similar blog entry I posted a couple of weeks ago, just following the Milwaukee and Colorado killings. This is not something I usually write about, but I can’t believe what I’m witnessing here. It’s like a car wreck in slow motion, and it doesn’t seem real. So I think I will continue re-posting a new version of this every time there is another shooting, which according to the stats could be every 30 minutes. Perhaps I’ll just stick to your mass public shooting schedule. Maybe you’ll get tired of reading this post. But maybe you’ll get tired of killing each other first, and begin the process of getting guns off the streets. America is a great nation in so many ways, but its approach to guns is not one of them. Why not start with looking at the stats and laws from other countries and trying to implement ideas that work? Japan for example has greatly reduced gun violence over the past 10 years or so. 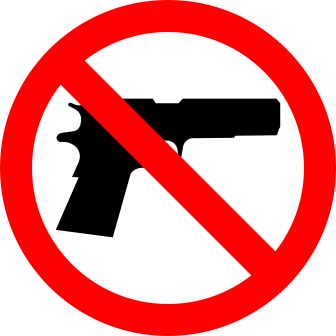 Japan’s weapons law begins by stating “No-one shall possess a firearm or sword,” and very few exceptions are allowed. Makes sense to me. We also know that most acts of gun violence are perpatrated by young males, so why not take steps to get guns out of their hands? I am not an expert on politics or human behaviour, but it seems to me that these might be good places to start. Yet no one wants to do it. So why is the US “right to bear arms” such a taboo subject? It may have made sense at one time, but now? Has it become so entrenched in its culture that their is no room to reassess this primitive and antiquated “right?” An evolving society means that we are constantly changing and reevaluating. What worked 10, 20, 50, or 100 years ago does not necessarily hold true today. There are countless examples of positive change that have led to societal advancement, so why not guns as well? In the wake of these recent individual violent acts in the US, I keep wondering about what it is that makes these people do what they do. What is making them so angry? Granted it’s not just a US phenomenon, but it is happening there with increased regularity. It’s becoming commonplace, we become almost immune, and that’s a really scary thing. We begin to accept it as the new normal. And it’s not just the individual. Our frame of reference is a world that is constantly bickering and competing. One where countries are always at war with each other. Where individual acts of terrorism seem like the norm, and where the decisions and actions of the few dictate the parameters in which the vast majority of us live our lives. I don’t have the answers but I do know that it is a symptom of profound anger, unhappiness, and disconnectedness. It is a symptom of a very sick and fearful society. One that has lost its way. Why do we continue to choose hurt over healing? Why do we not opt for creation, cooperation, and peace over destruction and aggression? These are not new questions, but we keep doing and allowing the same things over and over, somehow expecting a different result (Einstein’s definition of insanity). What do we really expect will happen when we allow guns to be part of our culture? Do we think that any good at all can come from it? Are we really satisfied with the status quo? How often will it have to happen before we look honestly at the root causes, and decide collectively that we don’t want to live this way, and not make guns so easily accessible? Once a month? Once a week? Maybe every day? Or will it be when enough of us have been more closely impacted by these acts of violence? When our brother, mother, cousin, grandaughter, or spouse has been killed by a gun. Or perhaps we will have had enough when we have all simply wiped each other out. Do we really like living this way? What a blunt and primitive species we are. If there is a more evolved species watching us from afar, that is surely what they are thinking. “Look at these silly little humans,” they might say, “they provide each other with guns and other destructive tools, then methodically go about wiping each other out.” Smart folk, eh? Surely we have all seen enough–lived through enough–to know that violence does not work. We have thousands of years of history that proves it. And we must know by now that it is getting us absolutely nowhere. Surely we must know at some level that what we’re doing is not working. I just came across this timely piece by Richard Rohr. Substitute your own beliefs or words, but the overiding message is clear and universal. “If the self doesn’t find some way to connect radically with Being, it will live in anxiety and insecurity. The false self is inherently insecure. It’s intrinsically fragile, grasping for significance. That’s precisely because it is insignificant! So it grabs at things like badges and uniforms and titles and hats and flags (and I would add: GUNS) to give itself importance and power. People talk about dying for the flag of their country. They don’t realize that the Bible would definitely call that idolatry. What were you before you were an American? Will you be an American in heaven? Most of us don’t know how to answer those questions without a spiritual journey and an inner prayer life. Who were you before you were male, before you were female, before you were black, before you were white, before you were straight, before you were gay, before you were Lutheran, Mormon, or Amish? Governing ourselves in a way that normalizes and encourages violence is not the way forward. Yes of course it would be complicated to change the rules on guns. Yes of course some people would not be happy about it. Change is usually messy. But what’s the alternative? Enough is enough. Time to stand up. Time to change. Time to find a better way.